Kangana Ranaut recently released film Manikarnika - The Queen of Jhansi has got stuck in the controversies since its release, I would even before its release. However, when the film is out and the audience is watching the film in the theatres, the things have gone worst to worst for the leading actress. First of all, the director of the film Krish accused Kangana Ranaut of taken away the credit of being a director of the film. 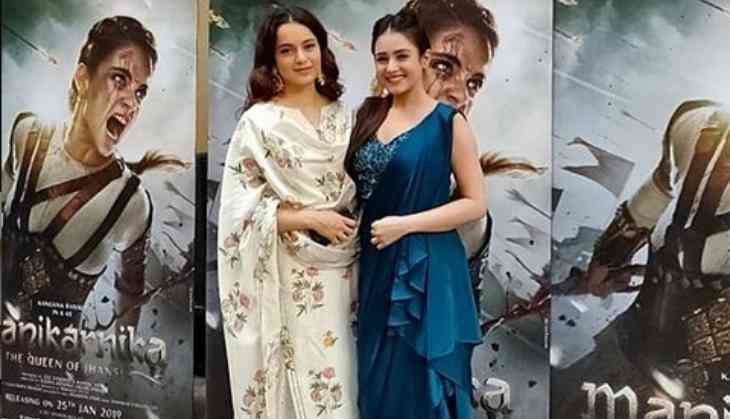 Now the actress Mishti who played the supporting role in Manikarnika has told Bollywood Hungama, she was also a part of Vidya Balan starrer Begum Jaan but she didn't face this kind of cheating in that film. She told Bollywood Hungama, "To glorify yourself, you don't need to put others down. If you are great, you will stand out in the crowd. If however, you don't have the confidence in yourself, then you just want it all by yourself. That is how I look at it, I am not judging anyone over here. I am not talking about Kangana or Vidya. But then I have seen Vidya Balan. There may be 10 women around her but she still stands out in the crowd. She never tried to chop off anybody's character. She didn't need to." "When I saw the film, I was really upset about my scenes being removed. After the movie, I didn't even speak to anyone. I just walked out of the theatre. Although, I did see the end credits and I saw Kangana's name before Krish as director. Krish directed this film right from the beginning to almost the end. He deserves to be credited as the director of this film first." She further added. Mishti also told that Kangana called her for the re-shoot of the film and told her that now her character will have more screen-appearance more prominent. However, that was actually a lie and instead, the previous Kangana has chopped out the roles of other actors.